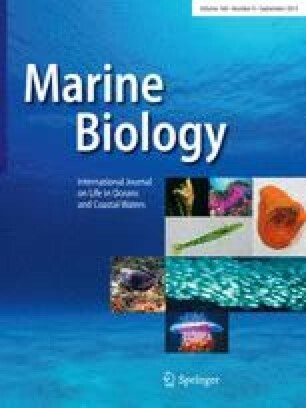 Genetic population structure of the blacktip shark, Carcharhinus limbatus, a commercially and recreationally important species in the southeast U.S. shark fishery, was investigated using mitochondrial DNA control region sequences. Neonate blacktip sharks were sampled from three nurseries, Pine Island Sound, Terra Ceia Bay, and Yankeetown, along the Gulf of Mexico coast of Florida (Gulf) and one nursery, Bulls Bay, on the Atlantic Ocean coast of South Carolina (Atlantic). Sequencing of the complete mitochondrial control region of 169 neonates revealed 10 polymorphic sites and 13 haplotypes. Overall haplotype diversity and percent nucleotide diversity were 0.710 and 0.106%, respectively. Haplotype frequencies were compared among nurseries to determine if the high mobility and seasonal migrations of adult blacktip sharks have maintained genetic homogeneity among nurseries in the Atlantic and Gulf. Chi-square analysis and AMOVA did not detect significant structuring of haplotypes among the three Gulf nurseries, P(χ 2)=0.294, ΦST=−0.005 to −0.002. All pairwise AMOVA between Gulf nurseries and the Atlantic nursery detected significant partitioning of haplotypes between the Gulf and Atlantic (ΦST=0.087–0.129, P<0.008), as did comparison between grouped Florida Gulf nurseries and the Atlantic, ΦCT=0.090, P<0.001. Based upon the dispersal abilities and seasonal migrations of blacktip sharks, these results support the presence of philopatry for nursery areas among female blacktip sharks. Our data also support the treatment of Atlantic and Gulf blacktip shark nursery areas as separate management units. We thank everyone who helped in the collection of samples for this project, especially John Tyminski, Glenn Ulrich, Jack Morris, and Tom Wilkie. Financial support was provided by the National Science Foundation (Award No. OCE-9911295) and NOAA/NMFS (Awards No. NA07FM0459 and NA16FM1658). All experiments comply with the current laws of the United States of America.